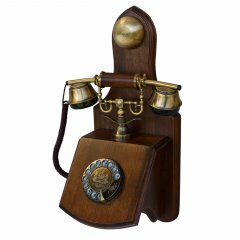 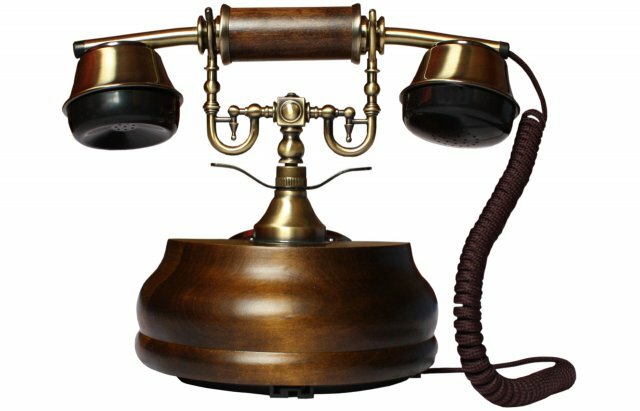 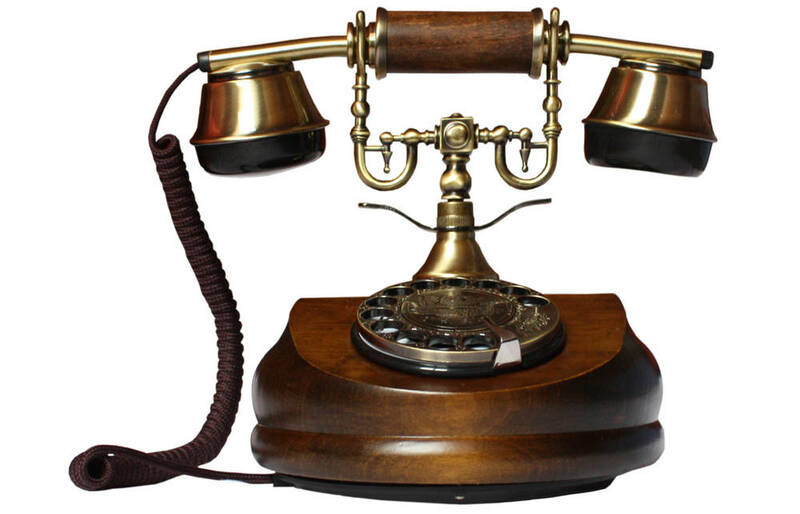 The telephone´s elegant body is crafted from a massive piece of real wood. 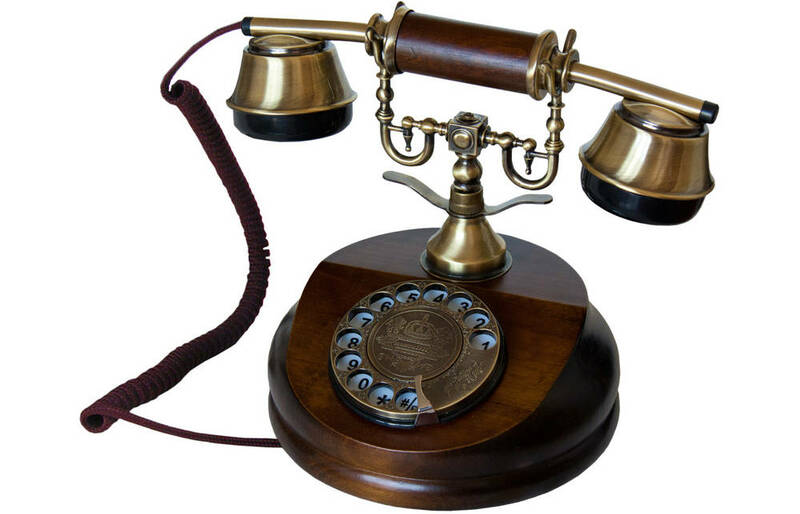 Hook and receiver are made from brass, and the cables are clad in cloth. 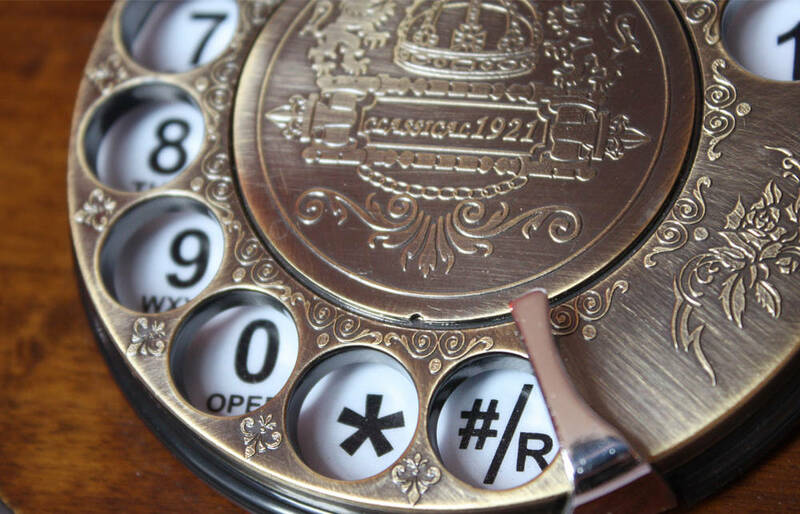 You dial a number by turning the mechanical rotary dial, just like it was in the past. The authentic ring-tone is generated by a metal bell. 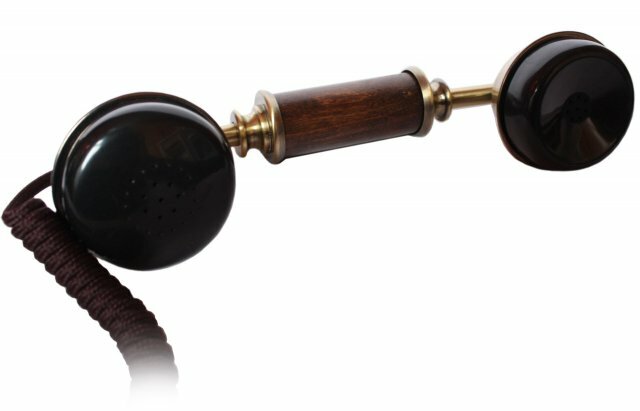 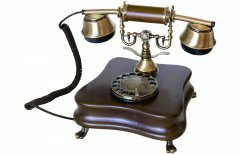 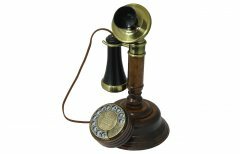 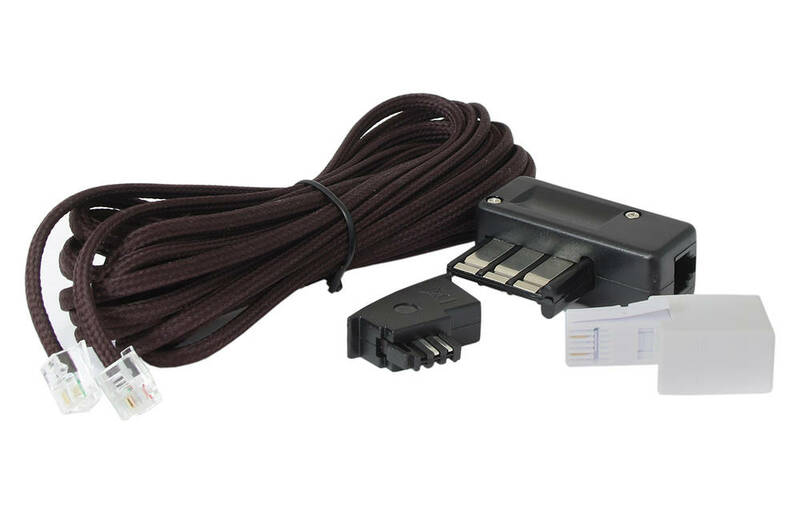 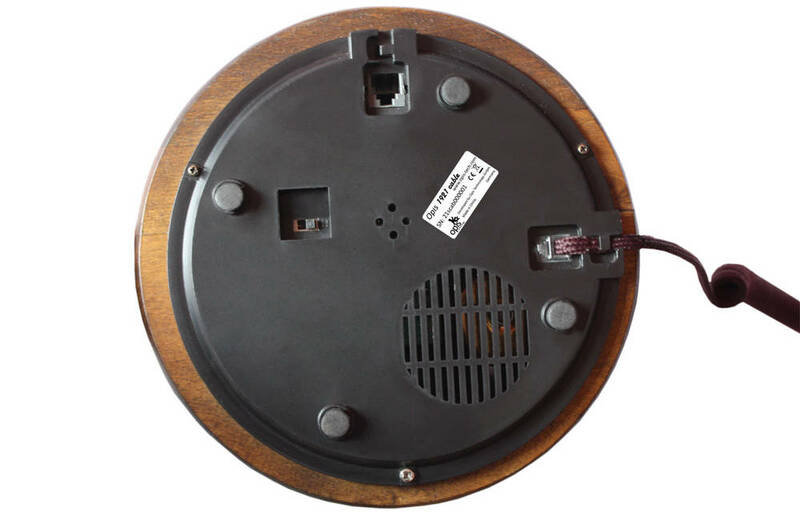 And despite its distinct retro charm, the 1921 cable is completely compatible with modern telephone connections.